If the fortune is split equally, MacKenzie can become the world’s richest woman with $69 bn. The announcement came hours before the National Enquirer tabloid newspaper began tweeting that it planned to publish an expose about the split. The Enquirer and the New York Post later reported that Jeff Bezos has been having a relationship with Lauren Sanchez, a former TV anchor and helicopter pilot and the wife of Hollywood talent agent Patrick Whitesell. The New York Post said Sanchez and Whitesell are separated. 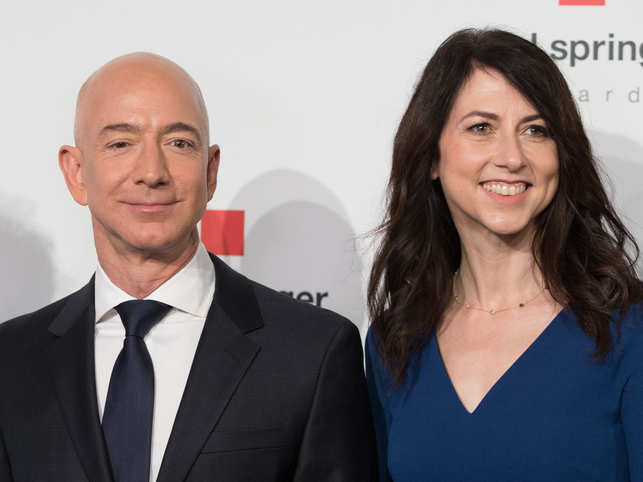 MacKenzie Bezos was aware that her husband was dating Sanchez during their separation, according to a person close to Jeff Bezos, who asked not to be named discussing personal matters.